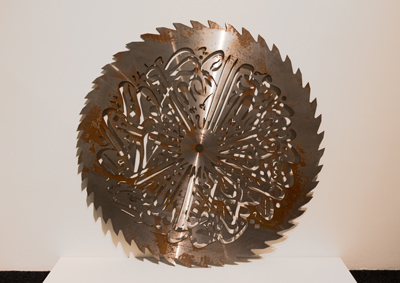 Cut Up/Cut Out is an exhibition of national and international artists who explore the captivating methods of decorative piercing and cutting, using a wide range of media from paper and plastic to metal and rubber. The transformative nature of cutting into and through a surface provides endless possibilities for converting the material from opaque to transparent, from flat to sculptural, from rigid to delicate, and from ordinary to exquisite. The process and precision required for this method of art-making is laborious, technically demanding, and always astonishing. The art of cutting paper dates back thousands of years, with early artworks coming from 6th century China. Originally a decorative handcraft for women, Chinese paper-cutting eventually expanded into rural areas, becoming a staple at religious ceremonies and festivals. By the 14th century, paper-cutting spread to the rest of the world bringing in a new wave of folk art traditions. 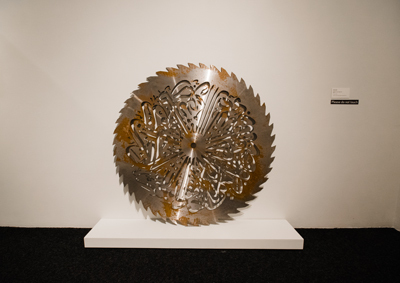 Cut Up/Cut Out honors both innovation and tradition with a selection of over 50 artists representing diverse styles and techniques. 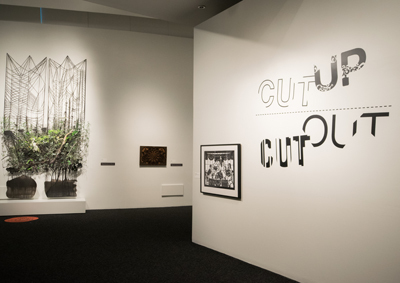 Cut Up/Cut Out was organized by Carrie Lederer, Curator of Exhibitions, Bedford Gallery, Lesher Center for the Arts, Walnut Creek, CA. The local presentation of this exhibition is guest curated by Benedict Heywood.